Great ADlib tune (only DOS box). 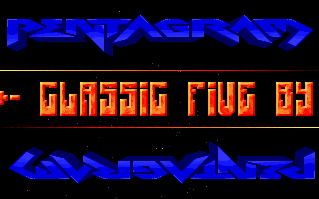 Quite Amigish.. could be better with better chars and logo... But, well it was a PC not Amiga. Nice tune, nothing special otherwise.